No matter how well your life appears to be going from the outside, stress is always there, trying to creep its way in. It could be related to your home life, work, the wider world, or simply a result of having too much to do and too little time to do it in. Going through stress is not only an unpleasant experience, it can also lead to some serious health issues, which is why it is important to manage stress whenever it does rear its ugly head. Below are some great ways to reduce the amount of stress in your life. One of the main reasons for the buildup of stress is not getting enough good quality sleep. Although each person requires a different amount of sleep to function at their best, guidelines suggest between seven and nine hours for the average adult. If you have trouble nodding off, try to get into a strict bedtime routine, perhaps involving some light reading or relaxation exercises. You could also invest in a sleep-tracker to gain more detailed insights into your sleeping patterns. Exercising is a great way to reduce stress, allowing you to unwind while also burning off calories. The type of stress that you are experiencing and, indeed, the way that you best like to release pent-up energy, will determine which type of exercise will prove most effective. For some of you, a session of cardiovascular exercise will provide relaxation and help clear your mind. For others, an intense workout, such as kickboxing or sprints, will do the trick. Whatever your personality type, spend some time in the fitness center to see if you can exercise your stress away. A hobby can prove the ideal way of taking your mind off things. Although not all hobbies are relaxing, many of them are and give you the opportunity to focus your energies into something productive, but which you also enjoy. 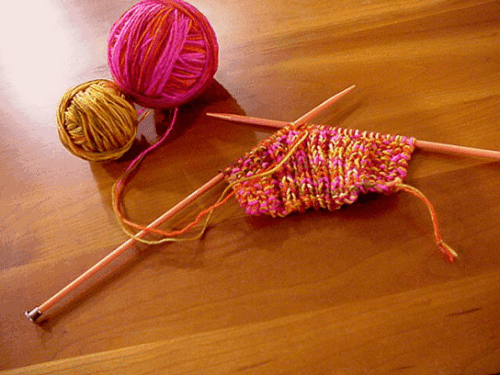 Good examples of peaceful hobbies include knitting, fishing and painting. In the modern world it can feel like you’re never allowed a quiet moment to yourself, but did you know that you are allowed to zone out, even if it’s just for a little while? If stress is getting to you, put aside 20 minutes each day as a minimum where you turn off all those electronic devices that distract you. Switch off your phone, turn off the television and just breath. You’ll be amazed how much better you feel. Stress can quickly emerge if you feel as though you don’t have enough energy to do all the things you need to, and this lethargy may be down to your diet. Eating regularly and healthily can really improve your well-being, giving you the fuel you need to tackle your challenges to best of your ability. Next time you feel stress building take a deep breath and remember the control you have over your life and the ways you can eliminate the negative influences that are trying to bring you down.